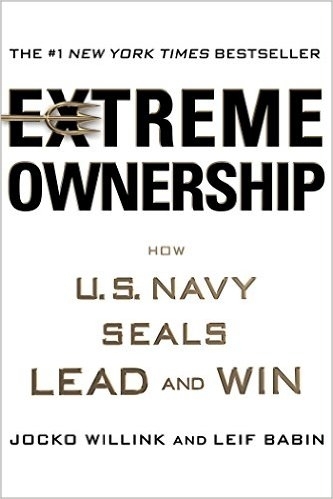 The idea of extreme ownership is interesting, but the stories used in the book feel like confirmation bias and narrative fallacy. While I think the ideas are compelling, and agree that leaders should take responsibility for their teams, there were plenty of cases in the book where the opposite of the concept could have been an equally valid argument. That said, the stories are fascinating and it’s worth reading for those alone. If an individual on the team is not performing at the level required for the team to succeed, the leader must train and mentor that underperformer. But if the underperformer continually fails to meet standards, then a leader who exercises Extreme Ownership must be loyal to the team and the mission above any individual. If underperformers cannot improve, the leader must make the tough call to terminate them and hire others who can get the job done. It is all on the leader. When a bad SEAL leader walked into a debrief and blamed everyone else, that attitude was picked up by subordinates and team members, who then followed suit. They all blamed everyone else, and inevitably the team was ineffective and unable to properly execute a plan. One of the most fundamental and important truths at the heart of Extreme Ownership: there are no bad teams, only bad leaders.